Compacted trash? LOL. I can see where Marvo is coming from, but I don't think these look that bad. They're just a bunch of smooshed-together ingredients, crushed into a bar shape, similar to the fruit + fruit bars we've seen in the past—except these have lots of seeds and nuts, not just fruits. 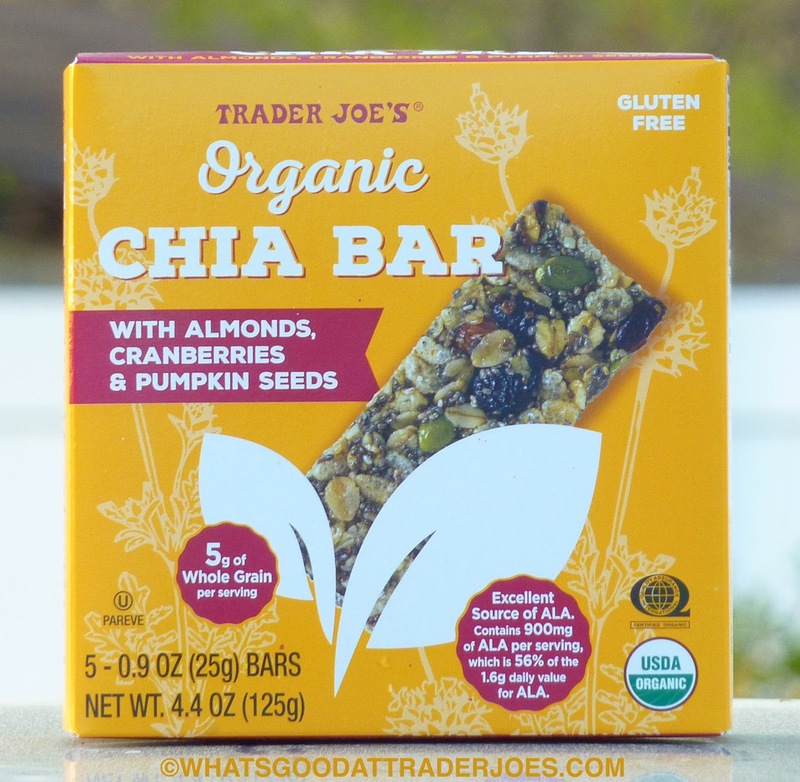 Texture-wise, they're exactly what you'd expect: a granola-esque, chewy vibe, with a little extra grittiness from the chia seeds. They're not tough in any way, but neither are they smooth. The dried fruit serves as a virtual "glue" binding the other ingredients together with its natural stickiness. I mean, I guess the organic syrups help in that department, too. There's plenty of sticky stuff holding these bars together—they're definitely not going to fall apart in your hands, yet they're not super sticky to the touch, either. All in all, they feel pretty pleasant, particularly if you're into granola bars. And they're shockingly tasty. I'm still not even sure where all that flavor's coming from. There are a lot of "healthy" sugars and sweeteners in there: organic brown rice syrup, organic agave syrup, and organic cane sugar. For someone with a sweet tooth like me, these bars hit the spot pretty well, despite having a bunch of hippie ingredients tossed into the mix. And don't get me wrong, I like most hippie ingredients just fine, but coming from a generation that grew up thinking of chia as nothing more than the "fur" on a weird, ceramic animal you'd put in your kitchen windowsill, it's still a bit strange to be eating snacks with chia seeds as the main attraction. But interestingly enough, the chia pet people have joined the club and are now marketing chia as something healthy to eat, as well as the head of spiky green hair on a ceramic SpongeBob SquarePants. My main complaint about these is that they're a little on the small side. Granted, they're extraordinarily filling for their size, but I still wouldn't have minded a bit more material per bar. Four stars from me. Four from Sonia, who thinks that the texture is a little weird, but loved the flavor so much, she almost went with four and a half. These sound like a great snack! I'm pleasantly surprised to see they're so low in sugar yet taste sweet. I passed these up when I was there yesterday. Your review makes me want to try them now. I'll have to pick them up next time. Did you see the other new bars (singles, not a box)? I'm curious about those, also. I did not see the new single bars...but I'll look for them next time. Haha- chia pudding makes itself! If you have a vegan protein powder with chia in it and you let the smoothie sit too long, it's half way there... I've made pudding just making a chia protein drink more concentrated and putting it in the fridge for a while. There are fancier recipes on the net. I think chia seeds are a little sweet on their own. At least Life's Basics Plant Protein has rice&pea protein along with hemp & chia seeds with vanilla (no sweetener) but actually tastes decent just in water. I bought these Chia bars on a whim at the checkout to take camping with me. After I had the first one I wished I had bought multiple boxes as I had to stretch 5 bars over 12 days! I love them, the taste and the size is great as a quick snack on a hike. I also appreciate that there is No Soy in them as most bars have. I'm on my way home from the trip and am going to TJs tomorrow to buy lots more!